Grandscapes Landscapes and Construction, LLC. FPF / Conidi Landscaping & Construction, Inc. Comment: Need to remove an existing retaining wall (roughly 2x2x2x30 ish) and install new. Flat yard w access from paper street. Comment: The existing concrete block wall is tilting over into neighborâs yard and impinging on two of his wooden fences. Pittsburgh Concrete Contractors are rated 4.71 out of 5 based on 984 reviews of 83 pros. 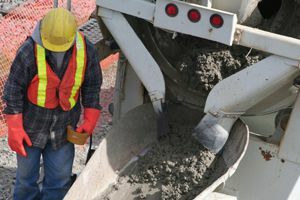 Not Looking for Concrete Contractors in Pittsburgh, PA?